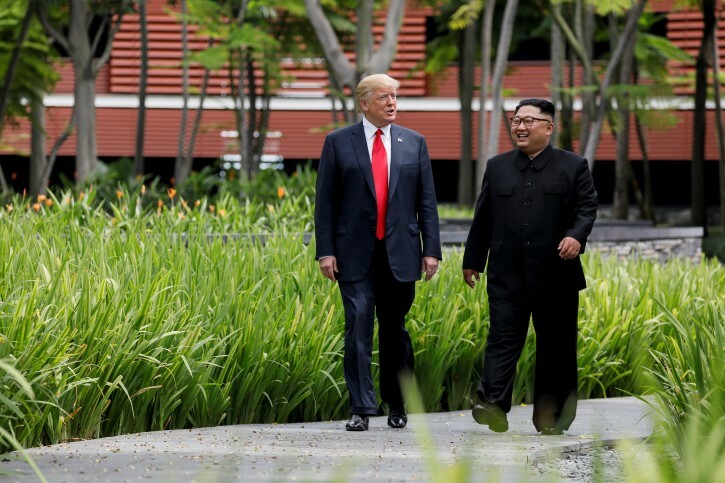 Seoul – Donald Trump wants North Korean leader Kim Jong Un to know that he likes him and will fulfill his wishes, South Korea’s President Moon Jae-in said on Sunday, a day after meeting the U.S. president at an economic summit in Argentina. “The message is that President Trump has very favorable views toward Chairman Kim and he likes him,” Moon told reporters aboard a flight from Argentina to New Zealand, where he started a three-day state visit on Sunday. Trump’s latest praise for Kim, in the formal setting of a summit with Moon, shows that he is still emphasizing his personal rapport despite stalled nuclear talks.